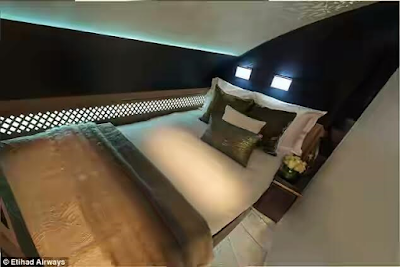 Etihad Airways ticket for a three bedroom 'penthouse in the sky' is by far the most expensive. 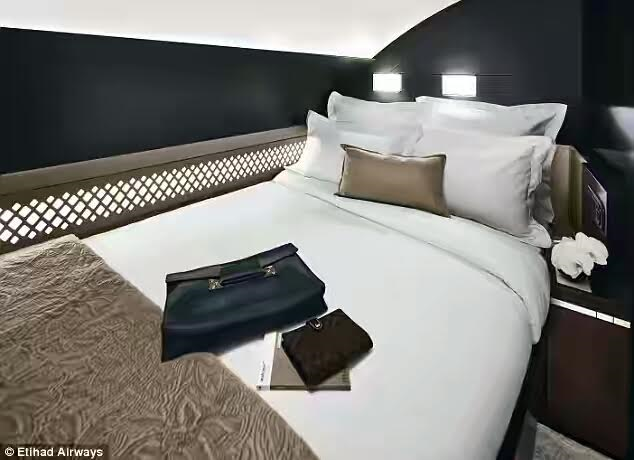 The flight from Mumbai to New York costs $38000 and it's not even a round trip, the journey takes up 19-21 hours with an Abu Dhabi stopover. The accommodation has been aptly named The Residence. The previous record for the most expensive air ticket was also held by Etihad Airways. 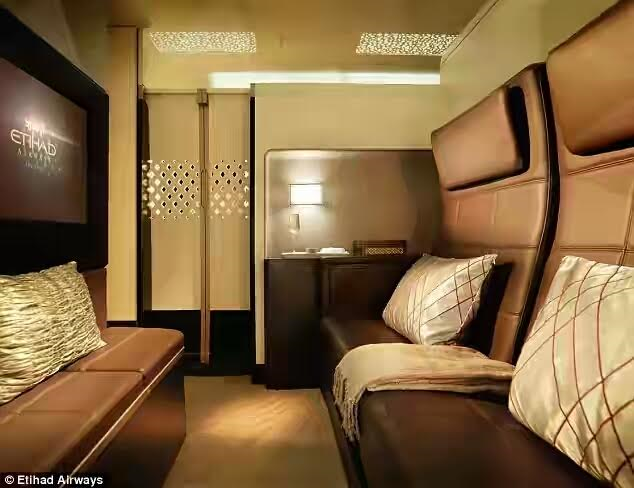 It's one way ticket for The Residence on the New York-Abu Dhabi route costs $32000. 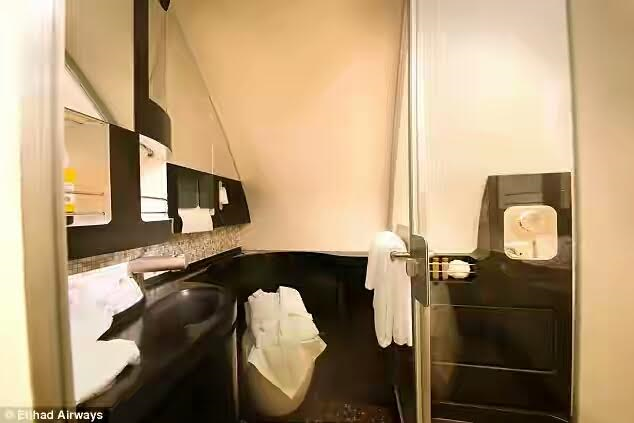 The Residence is the first three-room suite on a commercial jet and has won Etihad Airways a number of awards for first class travel. 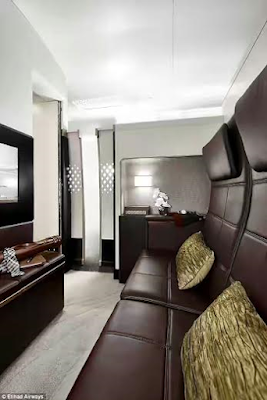 Its living room has a 32in flat-screen LCD TV, leather double sofa and two fold-away dining tables, where a Savoy-trained butler serves bespoke meals prepared by an on-board chef. A hallway leads to a bedroom that boasts a first-of-its-kind double bed, with designer Italian bed linen. A 27in flat-screen TV is mounted on the wall. Before landing the suite’s passengers can freshen up in a bathroom that has a shower, make-up mirror and hairdryer. The cost of the ticket includes luxury chauffeured transport to and from the airport, private check-in, access to a private lounge and a personal travel concierge who can do everything from reserve a table at a restaurant to source tickets to a concert or sporting event.